The visualization of a scene like a bedroom can become incredibly complex when you start to add high-density furniture and lots of textures. Based on the style of a project you may have to find furniture models and textures that will consume a significant amount of time. Since the bedroom is one of the most private and cozy spaces of a residence, showing realistic visualization may become a powerful conversion resource to sell a project. Do you want to see a great example of bedroom visualization with all the details necessary to give both context and realism? 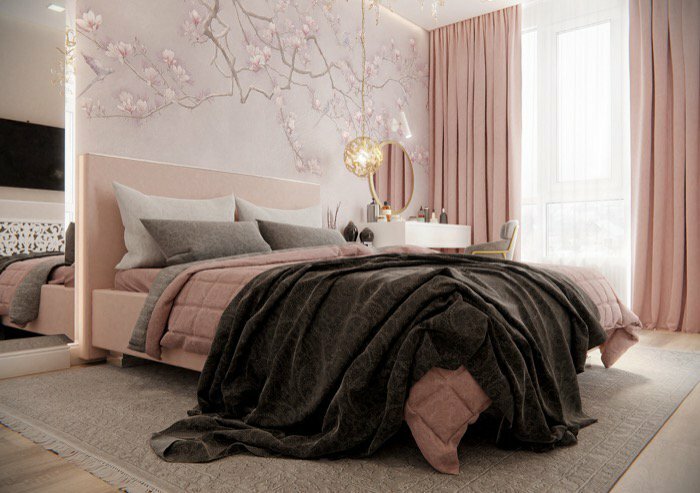 Take a look at the Pink Bedroom project posted at the Blenderartists forums. The author of this project is the incredible and talented artist Floke from Nexus Studio. Besides being a great visualization of a bedroom with a high level of detail for both 3d models and texture, you can see the type of project where Cycles still shines. By using Eevee, you would gain in render time but would, at the moment, lose some of the small detail on shadows and materials. To make this project even more interesting for architectural visualization artists using Blender, you will find some additional information about the project shared by the artist. You will see a screenshot of the light settings and lamp distribution across the scene. He doesn't use any HDR map, only an environmental light, sun, and area lamps.